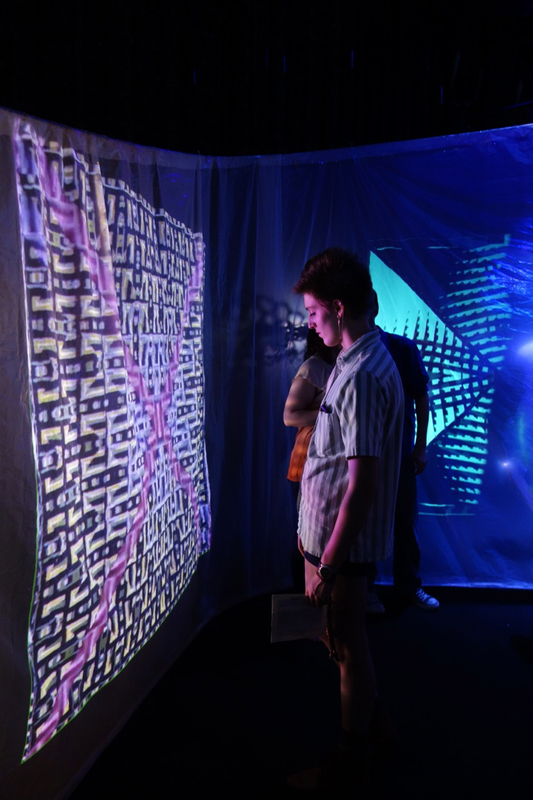 Portal Nexus is an immersive installation and interactive floor projection that divides the MEIT into a vortex, directing the flow of viewers, and engages them in an embodied and tactile interaction with notions of scale, perspective, and movement. 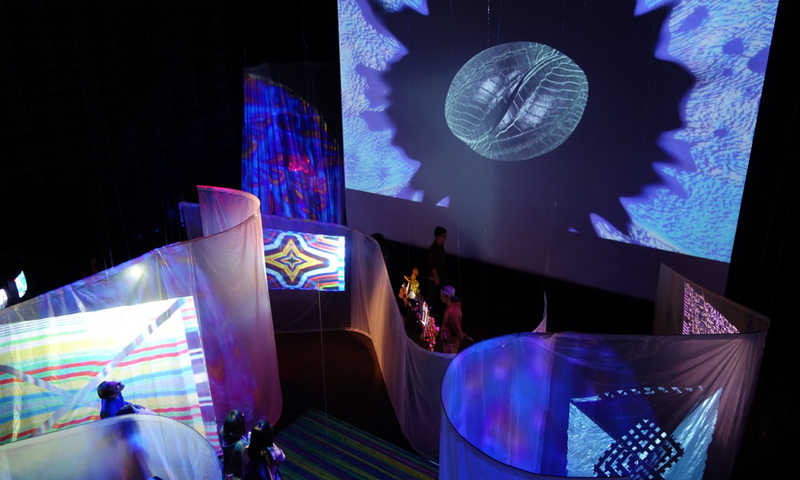 The Portal Nexus is an immersive installation that divides the Merril Ellis Intermedia Theater (MEIT) into a vortex, directs the flow of viewers, and engages them in an embodied and tactile interaction with notions of scale, perspective, and movement. 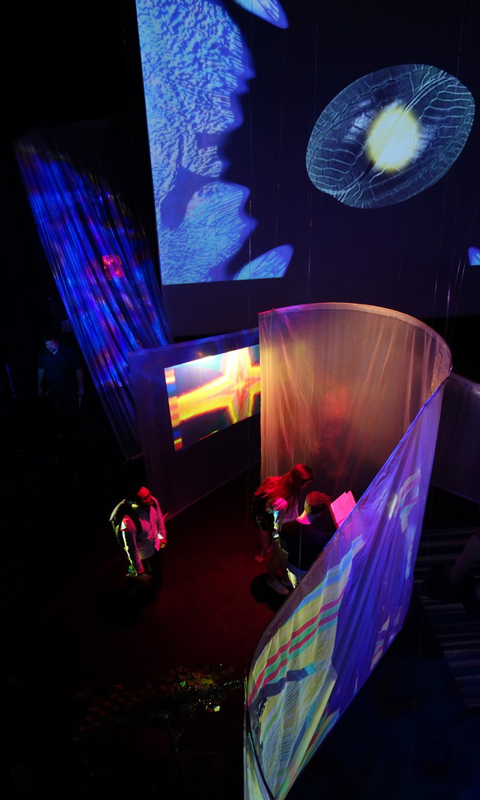 Viewers enter the MEIT through the Portal, a long tunnel behind the main projection screen where Sol Invictus is installed. 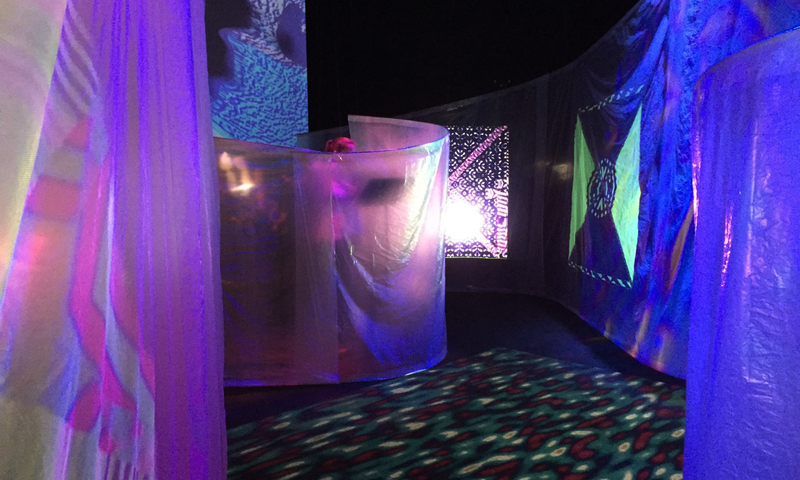 Viewers pass through the Portal where a waterfall of plastic sheeting encompasses a sculptural mirror installation and live generative and interactive kaleidoscopic video piece by Olivia Brown. 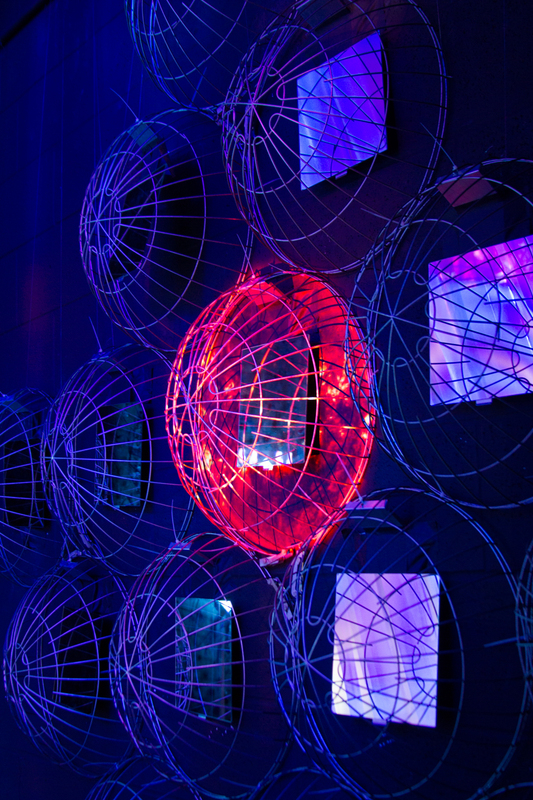 Viewers exit the Portal and directly encounter the curving translucent walls of the Nexus, which acts as a maze that divides the MEIT. The walls of the Nexus create an aerial pattern similar to a pinwheel and direct traffic into the center and around the entire MEIT space. 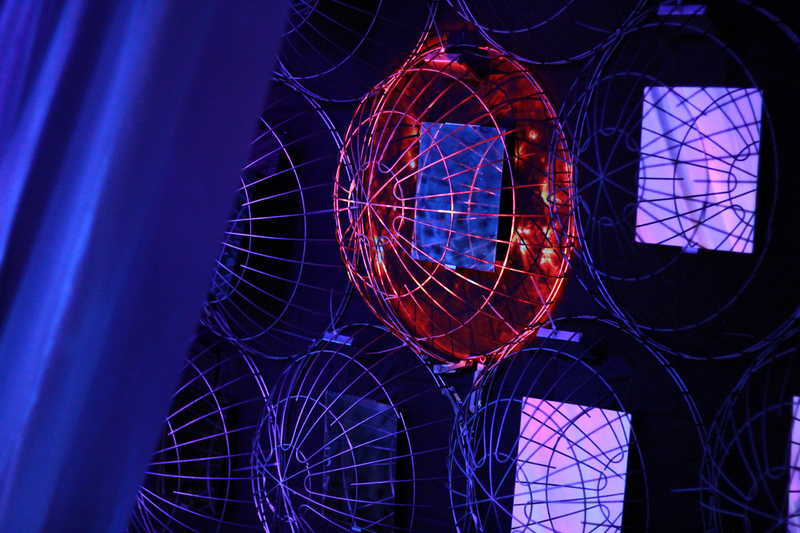 Each of the four walls of the Nexus maze creates a semi-circular immersive pocket for performers and viewers to stand in. 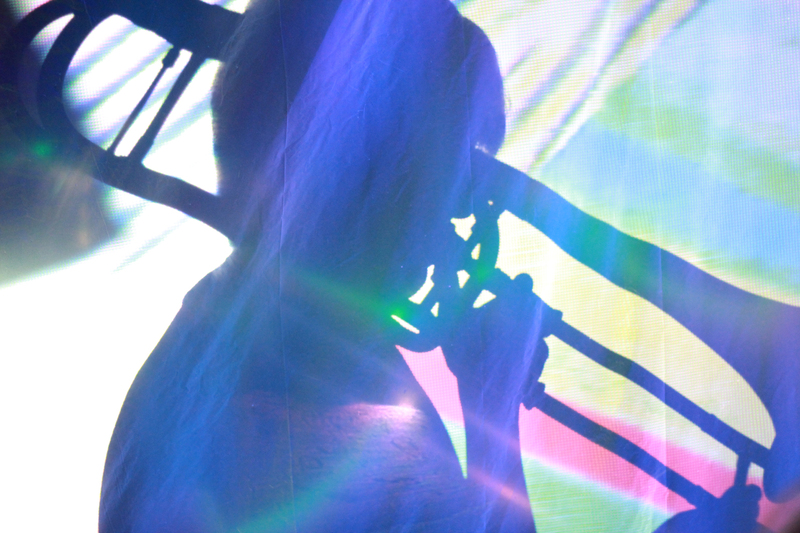 The wall surface acts as a projection surface for both video projections and lighting design. 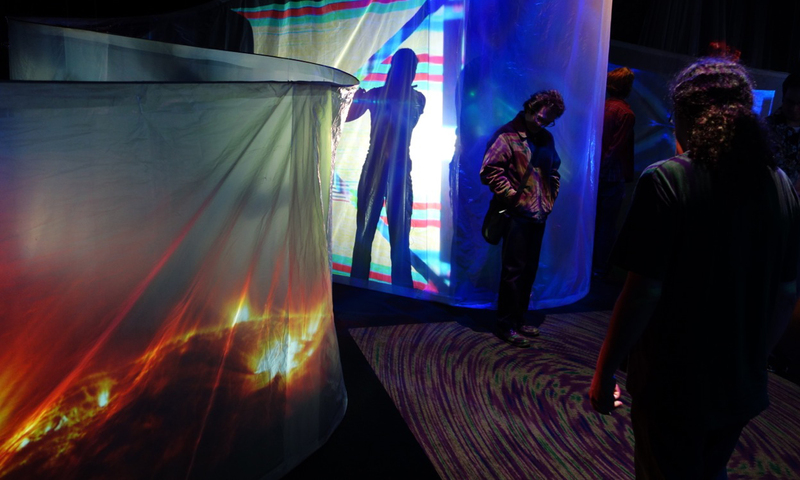 Each wall of the Nexus directs viewers towards the center where there is an interactive floor projection. 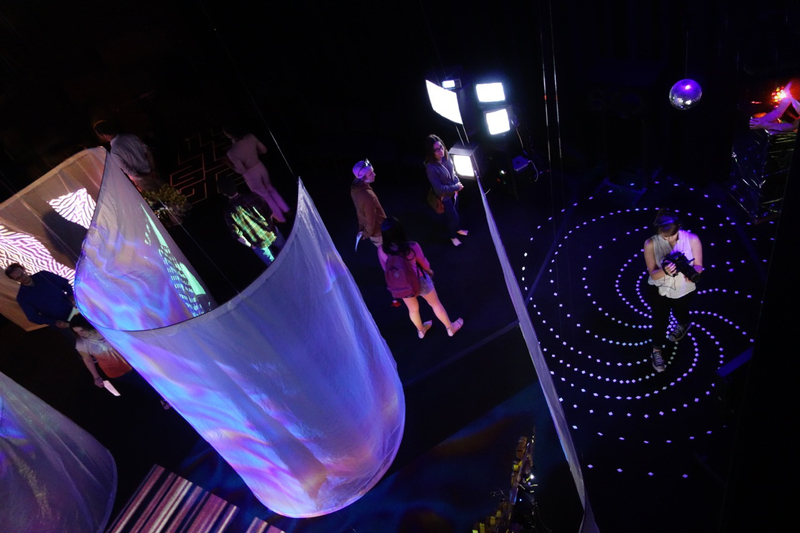 The floor projection responds to viewers’ movement, direction and speed which changes the projected patterns of stripes, dots and swirls onto the floor.